Canada has been getting a lot of attention as of late. The nation is celebrating its 150th birthday and has been making many lists of top destinations for 2017, including Lonely Planet and the New York Times. But Canada is a big place (9.98 million square kilometres, to be exact), so how do you narrow down your choices of places to see? I’ve come up with a list of five destinations within the country you shouldn’t miss, and some of the best travel rewards credit cards to help you get there. Nothing is more Canadian than celebrating Canada Day in the nation’s capital, but sometimes timing doesn’t always work out so why not celebrate year round? Ottawa plays host to the Stanley Cup Tribute in March, while in July, La Machine spider and dragon, mechanical beasts from France will take part in the birthday celebrations. Later in the year, the Grey Cup takes place at TD Place which will arguably be the second largest party of the year. Montreal has two reasons to celebrate this year. Not only is Canada turning 150, but Montreal is turning 375! To celebrate this milestone, Montreal has introduced Cite Memoire, a visual illustration of the city’s history that gets projected on various sites across the city. Of course, there’s also Osheaga, the Jazz Festival, and Restaurant Week which have been some of the city’s star attractions for years. Looking for something off the beaten path? Head to Jean-Talon Market in Little Italy to sample some of the best food in the city. For all of 2017, Parks Canada is offering everyone a free discovery pass. That means you won’t have to pay admission to all national parks and historic sites across the country. But which park do you choose? 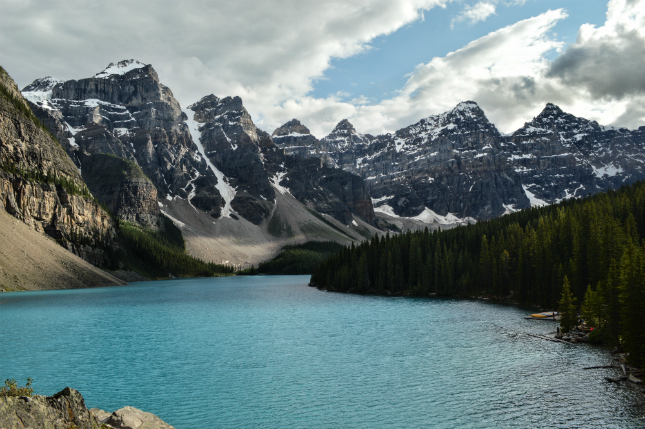 Banff (pictured above) and Jasper are the obvious choices if you’ve never seen the Canadian Rockies, and you really can’t go wrong with any park in British Columbia. On Canada’s east coast, sand dunes and beaches await you in Prince Edward Island National Park in PEI. If you’re in Quebec, La Mauricie National Park has some great hikes that will give you stunning views of the landscape. Back in 2010, Vancouver took center stage of the world as the host of the Winter Olympics and has never looked back. Stanley Park and Granville Island are the top attraction in the city, but make sure you take the time to explore one of the many neighbourhoods. Railtown has become the hippest hood with its microbreweries and trendy restaurants. Chinatown has slowly been reshaping with more international flavours moving in, but of course you’ll still find the best roast pork in the city here. Other neighbourhoods to check out include Gastown, Kitsilano, and Yaletown. Every Canadian talks about making a trip to the east coast so what’s holding you back? The Cabot Trail is one of the best road trips the country has to offer. This drive takes you along the side of mountains on the island’s northern tip; don’t forget to stop at a few of the many lookouts. Whale watch in the Bay of Fundy and make the trip to Peggy’s Cove where the red-capped white lighthouse is one of Canada’s most iconic attractions. 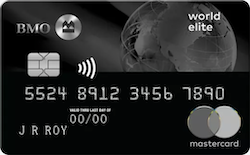 Now that you know where you should travel to, why not use a travel rewards credit card to help pay for some of your travels? To find the best credit card for your spending habits, compare multiple credit cards side-by-side using Ratehub.ca’s rewards calculator. 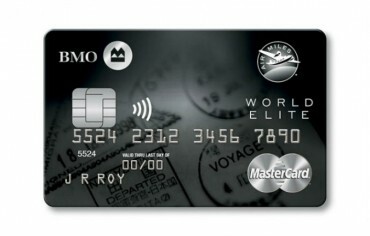 The BMO World Elite MasterCard will give the average spender $617 in first year travel rewards (assuming a monthly spending profile of $1,500). That’s pretty much enough to fly you to just about anywhere in Canada. Another added benefit is the included VIP Airport Lounge Access with Priority Pass so you can get comfortable before boarding your flight, plus the ability to pay for taxes and fees using points. 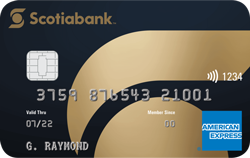 If you spend a lot on gas, groceries, dining, and entertainment, then the Scotiabank Gold American Express will appeal to you since you get 4X the points for every $1 you spend. 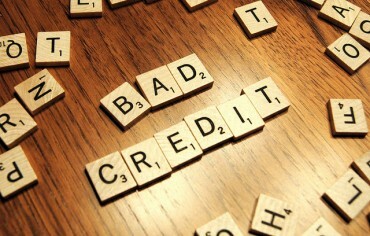 The average spender will earn $704 in first year which makes it one of the best travel rewards credit cards in Canada. In addition, you’ll get special discounts or amenities at hotels, on airfare, car rentals, cruises and vacation packages.